This is Federal Lake City 5.56 XM193C 55gr. Full Metal Jacket Ammo. 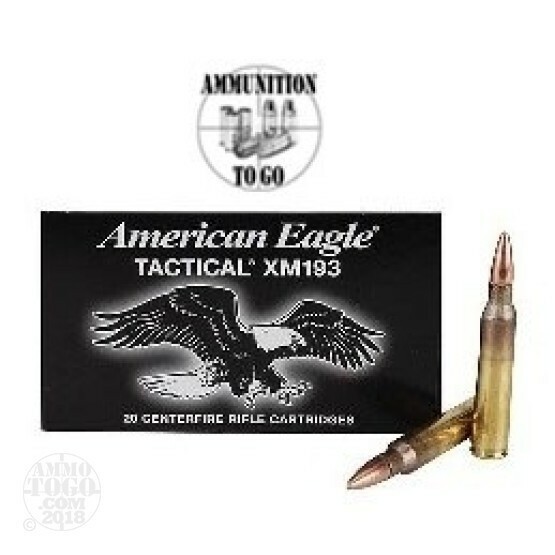 This ammo is manufactured by Lake City and is manufactured to US Military M193 specs. This is considered to be the best 5.56 55gr. ammo money can buy. It is brass cased, boxer primed, and 100% non-corrosive. This ammo comes packed in 20rd. boxes.